(NaturalNews) Just because you don't use Facebook doesn't mean the social media giant isn't secretly tracking your every move online. A shocking new investigative report out of Europe has revealed that even non-users of the mostly Waste-of-Time-Book are having tracking cookies quietly placed on their computers and devices without consent, allowing Mark Zuckerberg et al. to monitor their behavior and location. Entitled From social media service to advertising network: A critical analysis of Facebook's Revised Policies and Terms, the paper explains how Facebook's data collection and tracking protocols are ethically and morally questionable, at best. Facebook's contract terms, in fact, are so unfair and stacked against users that they blatantly violate European consumer protection law, according to experts. And opting out of Facebook's Orwellian data-mining schemes is difficult, if not impossible, warns the paper, as users must first navigate an intricate web of difficult-to-find "opt-out" sections buried deeply within the site, and in multiple locations. In other words, Facebook is going to track and monitor you whether you like it or not, and sell this information to unnamed third parties and other sources. But the real kicker isn't so much that this is actively happening to Facebook users -- if you sign up for the "free" social media service, you have to expect that the multi-billion-dollar corporation is profiting from your use. It's that even non-users are having their privacy violated by Facebook, something that the Facebook's European Public Policy Vice President Richard Allen recently admitted to in a blog post. According to Allen, Facebook's placing of tracking cookies on non-users' computers was supposedly just discovered out of the blue, and later declared to be "a bug." The tracking was "inadvertent," claims Allen, and has since been addressed to avoid privacy violations. But the Belgian privacy regulators who first noticed it, and who authored the new report, feel differently about the issue. "It is important to note that tracking of non-users initiates even if one does not visit the Facebook homepage," wrote the team of researchers, noting that "Facebook... tracks non-users in a manner which violates article 5(3) of the e-Privacy Directive." "In principle, any page belonging to the Facebook.com domain will result in the placement of a long-term, identifying cookie (e.g., an event page, a shop page, fan page ...)." According to privacy experts, Facebook's current opt-out system does not meet the requirements for legally valid consent, which means the social media giant is operating outside of the law and must be held responsible. Facebook also fails to offer its users adequate control mechanisms for deciding how their personal information is used commercially, including the use of "private" photos and other personal information. Location sharing, tracking, data collection and more appear to be largely off-limits to Facebook users when it comes to deciding how all of this will be used by the company in the long term. Even with certain access rights and opt-out mechanisms in place, the limitations therein prevent Facebook users from truly controlling how their posted information is used. "Facebook's terms do not properly acknowledge the data subject rights of its users," explains the report. 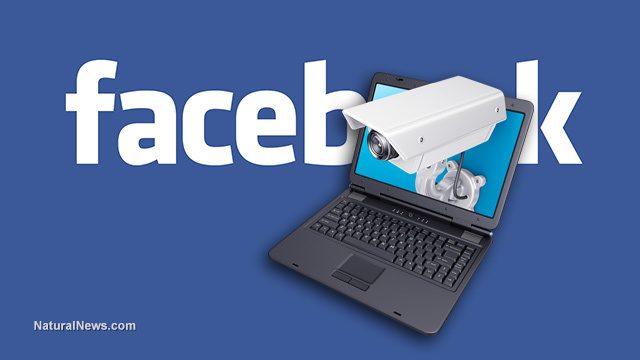 "Though users have some options to control the visibility of their information within their networks, they are not able to prevent Facebook from further using this information for its purposes."